Jean-Arcady Meyer, Stewart W. Wilson, eds. 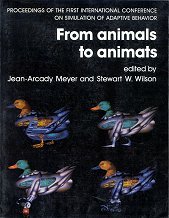 From Animals to Animats: proceedings of the first international conference on Simulation of Adaptive behaviour, Paris, 1990. Jean-Arcady Meyer, Herbert L. Roitblat, Stewart W. Wilson, eds. 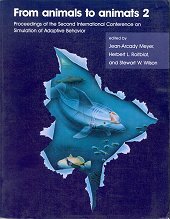 From Animals to Animats 2: proceedings of the second international conference on Simulation of Adaptive behaviour, Hawaii, 1992. Dave Cliff, Philip Husbands, Jean-Arcady Meyer, Stewart W. Wilson. 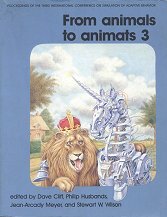 From Animals to Animats 3: proceedings of the third international conference on Simulation of Adaptive behaviour, Brighton, 1994. Jean-Arcady Meyer, Alain Berthoz, Dario Floreano, Herbert L. Roitblat, Stewart W. Wilson. 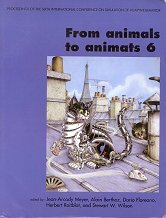 From Animals to Animats 6: proceedings of the sixth international conference on Simulation of Adaptive behaviour, Paris, 2000.